Marcus and all, thanks for all your tips. Run last Friday the encounter of Viking Uratha PCs vs Slavic Pjavica vampires, probably even not too all the potential. End result was that by the madness on Viking camp and running to Rage NPC pack attacking PCs - whole non-PC Vikings camp is dead, all Uratha are alone, barely living. Exactly what I needed. Then Ghouls village was kind a filler for them - they did a damage to major wounded werewolves, so Uratha need to cannibalize their flesh to get Essence to live - but it ended with 3 wounded Uratha to kill all the 50 ghoul villagers. In truth, I used here Down & Dirty fighting rules cause we could not afford the time on the game session to run 50 NPCs encounter with 1 PC and 2 NPC werewolves only - but the way that rest of PCs would not join beside our Blood Talon Rahu, meant that Ghoul villagers get the job done and scared rest of pack. After fight, on the next day and extensive utilize of (fan made ) Rite of Healing and Sacred Hunt on the vamps. Here it was simple, as our Irraka from Hunters in Darkness easily located the trail of Pijavica, lead the wound licking werewolves to the opening in the deep forest, where they located disturbing bloody blobs inside the ground. Then wolves used fire to the end effect of bloody things reacting like the monster from the Thing movie. Good times! Yep. It's a pretty great ability for lots of body horror shenanigans. procedure may only take place on a Wyrm’s Nest. Outcome: The Dragon must spend a point of Vitae in order to fuse the body part with his own form. So long as the Dragon keeps the body part animate as part of his body, he gains access to the ability. Any costs aside from Vitae and Willpower costs must be paid with both one Vitae and Willpower [[per point]] of itsnormal cost. If the victim survives the surgery, she loses access to the ability so long as the body part remains detached. She similarly loses any ability to regenerate that part. The body part has Health Levels equal to its Size, separate the vampire’s. If it loses all its Health Levels, it becomes worthless to the vampire. He may use this to affix a body part to another Kindred or ghoul. Am I reading it right, so Dragon using Grafting Unholy Flesh need to sew on to themselves body part that represent other creatures ability?! Like, assuming werewolves heart - Do Dragon need to sew on to him heart of the other being? Like some VtM Tzimisce monstrosity? Alas, Forsaken doesn't has a Developer who can make that call. Neat! Do Uratha in 2e revert back to Hishu form when their appendages are severed, or they die? Glad that my house rule isn't out of line with the intended setting. Now we can get back to Malus pretending that the severed limb of a shapeshifting monster - a limb that literally shifted when it was removed - isn't symbolic of the ability to shapeshift in his games, so it must be against RAW. If only more people could latch on to the first part - which is the same thing literally every single person arguing this has mentioned more than once. If it doesn't make sense for you, don't use it. Can a Kindred with Graft The Unholy Flesh steal an Uratha's forms; their regeneration, etc? No idea, I'm neither developer nor writer for Requiem. My general advice is 'do whatever's fun/makes sense for your game' but I can't speak to the specifics of this ability. Cross-line powers like this tend to be wonky at best, to be honest, so they tend to come down to whatever the preferences are of the gaming table in question, since it's very hard to write a power or capability that's brief but that also manages to mesh properly with the rules of, in this case, every supernatural ability in every game line. That's the intent, but I think we might have managed to somehow not put it into the 2nd ed core, so RAW it may be up in the air but you can probably expect Forsaken products to generally take the approach that, yes, werewolves and their body parts revert to human. I can't commit 100% to that, of course - I'm not a proper developer with the authority to make that kind of call. Could you specify what you would like my input about? Sorry, it's a 5-page thread in a subforum I don't usually read! Acrozatarim I'd much appreciate your input. So your point is basically "everything is a house rule unless explicitly stated in the corebook?" Despite what the devs themselves stated several times: where a rule isn't stated or conflicts with the new edition, follow the previous edition rules. This is crap. Full stop. Second Edition is meant to stand alone. Please find me a dev post that explicitly says that all things from 1E not explicitly contradicted in 2E are true. From what I can recall of the discussions, one dev has implied that it's reasonable to assume that they are. This is not the same thing as 'No, they totally and absolutely are per RAW'. They've also implied that many of them are not - and that some that have yet to be contradicted might be, based on their existing plans. You are the one going against the books. First Edition books have only slightly more relevance to this discussion than Scion books. They're both different games, though it can be reasonable to use elements of 1E to inform 2E. Uratha now leaving their Gauru dead bodies where they're slain is a pretty big setting conceit from the previous edition if you ask me. Here, we agree. And I have a houserule that their bodies revert on death, just like they do in 1E. I just don't treat the term 'house rule' as a dirty word or preach that it's actually RAW. If you're going to start arguing in bad faith (because how the hell else do confuse the cost in fuel points of an ability with a dot rating), then why are you here? The Scale specifically notes dotted powers. Uratha regeneration or shapeshifting come with no such things. Ergo that's beyond the scale's purview. Hah! I did. And as Poseur and Tessie have already said: Your statement about "dotted powers" is simply wrong. The rules refer to the stolen powers activation/fuel-cost, not the dot-value. Have fun hunting Uratha peripheries for the odd shapeshifting prowess or limited regeneration, and being hunted by them in return. 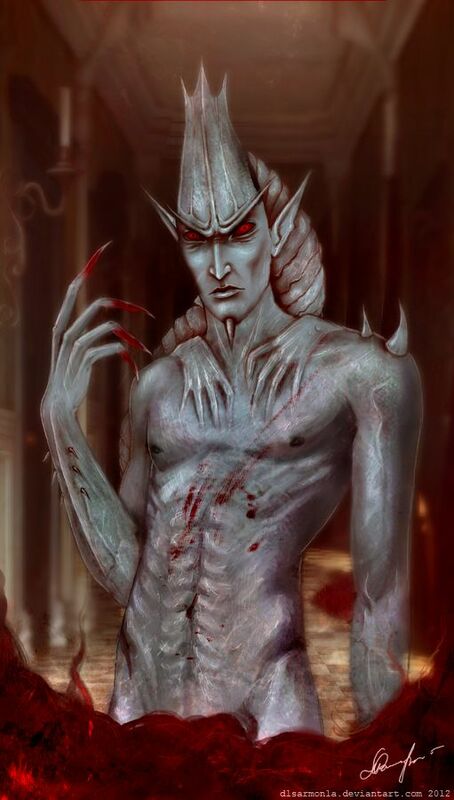 Malus, why are you insisting so much that vampires must not be able to steal shapeshifting from werewolves through one of their more exotic rituals? I mean, if you don´t want this in your chronicle, just don´t use the scale or ask your storyteller not to include it. Why argue so much over this single one power? Last edited by Sethnacht; 10-04-2018, 10:44 AM. What are you even talking about? Please stop shifting the goalposts. Clarifying my statement and offering a counterargument to your original argument of Luna planning the whole thing because of the Oath of the Moon is not shifting goalposts. I've already asked for source. It's on you since you brought it up in the first place. I'm fully prepared to change my mind if you do. Good argument. Nevermind that I'm going against an outdated book. Uratha now leaving their Gauru dead bodies where they're slain is a pretty big setting conceit from the previous edition if you ask me. So are Unihar. There's little distinction between one and the other. Please stop spouting these fallacies. The fact that Unihar doesn't exist anymore because it's not mentioned in the text is somehow an argument for werewolves always leaving human bodies despite that it's not mentioned in the text? loses all its Health Levels, it becomes worthless to the vampire. He may use this to affix a body part to another Kindred or ghoul. Not a single time is the word "dot" used in the entire text. Your emphasis is about substituting the costs for using the ability with costs the vampire can pay. Your bracketed emphasis talks about fuel trait points. In the case of Uratha it would cost one Vitae and one Willpower point per point of Essence that the ability would normally cost; not per dot of the ability stolen which seems to be how you've erroneously interpreted the text. Quoting the Scale would've been the most direct way to clarify your mistake but I didn't think it was necessary. I'm astonished by how the tables have turned. Edit: I don't think either of us is getting anything out of this discussion so I'm just going to leave it. Last edited by Tessie; 10-04-2018, 08:59 AM. Also, would the great hunter himself allow his spawn to show weakness in death? I never said it had to be infallible. And when was the Oath of the Moon written anyway? Considering that the People of The Sundered World seems to openly know about the existence of werewolves I'm inclined to believe the Oath (or at least that part of it) was written long after Luna and Urfarah created the Uratha. Do point it out exactly where I advocated that was the case. My point is not that you're going against the book. My point is that you're presenting a house rule as an official rule. Dead Uratha or severed limbs might turn human. Or they might not. Both options are viable. The only such posts I remember are about setting elements, not rules. If I'm wrong, please provide a source. What can I sade about blatant falsehoods other than they are wrong? I wish the Scale would mention dotted powers so that it's clear whether you only get one dot or all of them. Both preview and updated PDF only states "abilities" with absolutely no clarification regarding learned abilities, innate abilities, dot rated abilities, or any other information about the abilities you can steal. Lunacy isn't infallible, that's the whole point of the Oath. And Luna wouldn't relegate the survival of Her Progeny to Mortal error. Isn't that was Lunacy is supposed to help with? I never said it had to be infallible. Also, would the great hunter himself allow his spawn to show weakness in death? And when was the Oath of the Moon written anyway? Considering that the People of The Sundered World seems to openly know about the existence of werewolves I'm inclined to believe the Oath (or at least that part of it) was written long after Luna and Urfarah created the Uratha. Do point it out exactly where in the book it explicitly says a dead Gauru remains in that form. Do point it out exactly where I advocated that was the case. My point is not that you're going against the book. My point is that you're presenting a house rule as an official rule. As has been noted by developers previously: where the new books don't afford a distinction, the previous edition rules apply: in this case, Uratha revert to hishu if killed, or their appendages become severed. Tells do come with their dotted form: 3 dots each. Have fun hunting Uratha peripheries for the odd shapeshifting prowess or limited regeneration, and being hunted by them in return. subject" and "a body part symbolic of that skill". This can only be done with knowledge about said power, knowledge about a specific Coil and Scale, in a Wyrm's Nest, and all costs the power has is payed by "Any costs aside from Vitae and Willpower costs must be paid with both one Vitae and Willpower per point of its normal cost." This is for any power, be it a werewolf, vampire, changeling or other splats power. It is possible to do this by RAW. No one is arguing of how impractical this is except you. I'm pretty confident that all of us in this discussion don't think that stealing a werewolves powers is something easily done, but we are merly discussing that it is possible, not how probable it is. Could it be done by RAW, yes. Would it be a walk in the park to pull this off? Hell no!